Over eight consecutive nights, MoMA presents Kraftwerk – Retrospective 1 2 3 4 5 6 7 8, a chronological exploration of the sonic and visual experiments of Kraftwerk with a live presentation of their complete repertoire in the Museum’s Marron Atrium. From April 10th – April 17th, each evening consists of a live performance and 3-D visualization of one of Kraftwerk’s studio albums – Autobahn (1974), Radio-Activity (1975), Trans-Europe Express (1977), The Man-Machine (1978), Computer World (1981), Techno Pop (1986), The Mix (1991), and Tour de France (2003) – in the order of their release. 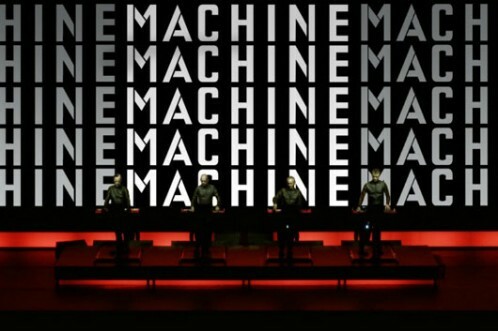 Kraftwerk will follow each evening’s album performance with additional compositions from their catalog, all adapted specifically for this exhibition. This reinterpretation showcases Kraftwerk’s historical contributions to and contemporary influence on global sound and image culture. Next to that, a presentation of Kraftwerk’s historical audio and visual material is on view at MoMA PS1, from April 12th – May 14th, 2012. Ralf Hütter and Florian Schneider founded Kraftwerk In Düsseldorf in 1970 and set up the pioneering Kling Klang studio, where all Kraftwerk’s albums have been conceived and composed. By the mid-1970s, Kraftwerk had achieved international recognition for its revolutionary experimentation with sound and imagery. Its compositions, which feature distant melodies, multilingual vocals, robotic Beats, custom-made vocoders, and computer speech, anticipated the impact technology would have on art and everyday life, capturing the human condition in an age of mobility and telecommunication. Kraftwerk’s innovative looping techniques and mechanized rhythms, which had a major influence on the early development of hip-hop and electronic dance music, remain among the most commonly sampled sounds across a wide range of musical genres. 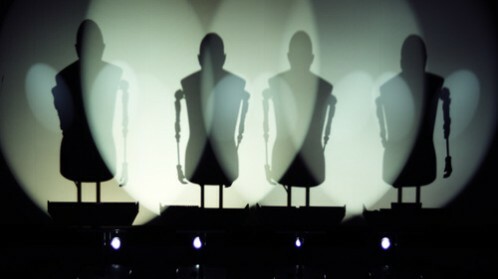 Kraftwerk uses robotics and other technical innovations in its live performances, illustrating the belief that humans and machines make equal contributions in the creation of art.